Book Notes: Is Anti-nuclear Advocacy a Threat to the Planet? Readers of this blog know that while it is pro-nuclear, efforts are made not to throw the baby out with the bathwater when it comes to refuting the views of anti-nuclear groups. However, with so much at stake involved in getting off fossil fuels while not submerging our high tech civilization in the muck of muddleheadness over renewables, presented here are two short books on clearing the air. It is interesting to read what people at the grass roots are saying about nuclear energy and not just in the U.S. Both books are dirt cheap especially if you select the Kindle versions which can be read on any Windows, Apple, or Android device with free software from Amazon. Are you ready to get your preconceived notions about energy and climate change challenged? Whether we can alleviate the effects of man-made climate change will be determined by reality, not economics or ideology. Can we do it using solar energy? Or wind power? What about geothermal? Or nuclear energy? To determine what can and cannot be done we have to consider countless of reports shared with us by research institutes from all over the world. To derive some conclusions we have to examine questions grounded in physics and mathematics. In this book we will try to weed out the nonsense and gain a clear perspective on the future of humanity in terms of energy generation and consumption. This is essential because we need to get real if we want to counter the negative effects of climate change. It is very sad to discover that highly estimable scientists and academics have joined the ranks of the nonsense-peddlers. They should know better, they cannot have their science a la carte. Fallacious mutterings and writings deserve to be scrutinized and if need be criticized. Academic pedigree does not matter. Take nothing at face-value and question everything. Use your mind! Mathijs specializes in total-sum energy calculations, communicating climate change science, and writing on energy and science in politics. He is the author of several books on these topics. Mathijs Beckers pulls no punches, relentlessly assaulting the anti-nuclear crowd and “renewable” lovers with science-based facts. Because of climate change and our expanding populations and energy needs, he makes the case that only rapid expansion of nuclear power can come close to filling our needs and avoiding the environmental disaster that will result if we continue to deceive ourselves into thinking that renewables can do it all. Anyone who reads this book with an open mind will learn a lot! Mr. Beckers makes a potent argument for nuclear power as the necessary baseload source for a modern electricity grid. This book does a useful serve for the scientific /technical understanding of our energy needs now and for the future. 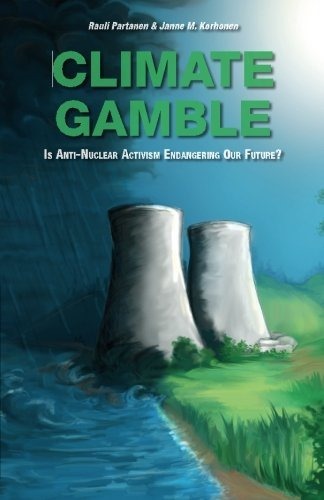 ”Climate Gamble – Is Anti-Nuclear Activism Endangering Our Future?” is a thought-provoking, short and easy to read book on one of the biggest problems of our time, climate change, and one of its most misunderstood and misrepresented solution, nuclear power. Humankind has won many great victories in the fight against climate change. However, these victories are rarely acknowledged or reported. Is this because they were won with nuclear power? Preventing dangerous climate change requires world energy production to be almost completely free from fossil fuels by 2050. At the same time, energy consumption keeps growing, as the population increases and those mired in poverty try to create better lives for themselves. With almost 87 percent of our energy produced with fossil fuels, the challenge is unprecedented in both its scale and urgency. International organizations agree that meeting this challenge will require the use of all the tools at our disposal: Renewable energy, more energy conservation and better efficiency, carbon capture and storage – and nuclear power. At the same time, the global environment and energy discussion is largely dominated by a vocal opinion that climate challenge and global poverty should be conquered with nothing else than renewables, energy conservation and energy efficiency. 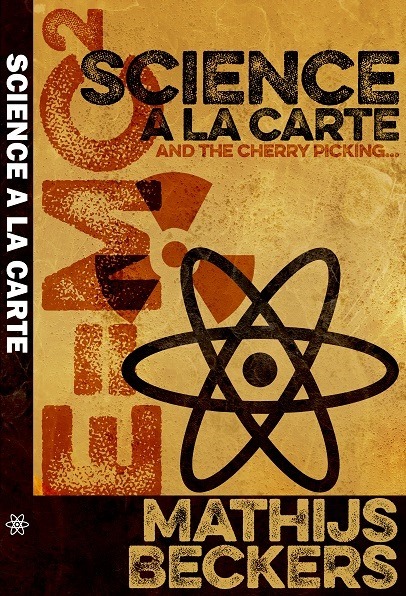 This book explains how this opinion is largely based on very selective reading of relevant studies and reports, wishful thinking about the powers of technological miracles, and even straight-out falsification of statistics and misrepresentation of facts. Does the anti-nuclear movement really help to give people objective, relevant information they need to make up their minds about zero-carbon energy production, the scale of the challenge, and in particular the up- and downsides of nuclear power? Or are they just spreading fear and uncertainty, while making a huge gamble with the climate, potentially endangering both human civilization and the Earth’s ecosystems? See also David MacKay’s forward to the book at a companion web site. Thousands of printed copies of “Climate Gamble” were distributed at Paris COP21 December 2015. Rauli Partanen is an independent writer, lecturer and consultant on the environment, energy, society, the economy and their interrelations. He is a co-founder and board member of Ecomodernist Society of Finland and Peak Oil Finland, both non-profit organizations. He lives in Finland with his family, and writes both in Finnish and in English. Janne M. Korhonen is a PhD student at Aalto University in Finland and an energy/environmental activist. He is also one of the founding members of the Finnish Ecomodernist Society. This is a well-studied but easy-to-read book on the role of nuclear power in climate change mitigation. The reader will be introduced to the facts showing that many NGOs are surprisingly lobbying heavily against nuclear but not so much against fossil fuels while they communicate that the most challenging issue to the global community is the climate change. The reader will get familiarized to the health risks of nuclear power stations and irradiation. In this book those risks are evaluated not in vacuum as sometimes is the case but against the drawbacks of other options. Energy production is a field in which there are no perfect choices since the size of the fossil fuel industry has grown that great. The reader will be introduced in the risks of nuclear proliferation and might have a surprise on that issue. Are there more safe nuclear reactor options available than the current uranium ones? This subject is covered also. Increasing energy consumption is vital to the development of the developing countries. From where that energy must come? The ultimate message of the book is that the climate challenge is so huge that no-fossil energy technologies cannot be ruled out a priori. We will need all of them to replace fossil fuels. This short, 100-page, book packs a punch. The answer to the question in the subtitle is “Yes”; wittingly or unwittingly, environmentalists, mostly as the result of fear built on lack of information, are hindering their own goals with regard to global climate change by opposing nuclear. The coming fourth generation of nuclear will provide clean, safe, abundant and affordable energy to the world, but only if environmentalists get behind it instead of opposing it. Even today, existing nuclear in the US provides some 60+ percent of clean, CO2-free energy. We need more, not less. 2 Responses to Book Notes: Is Anti-nuclear Advocacy a Threat to the Planet?